Walk-in closets often find their luxurious amount of space put to poor use, degrading their purpose and beauty. Walk-in closets benefit from a host of organizational solutions, and The Custom Closet Company will be happy to design the perfect one for your home. Does your walk-in closet have unused and wasted space resulting in a disorganized mess? Is your walk-in closet bursting at the seams with unorganized clothing and accessories? Do you wish your walk-in closet had space for hanging your bags and belts or drawers for scarves and accessories? 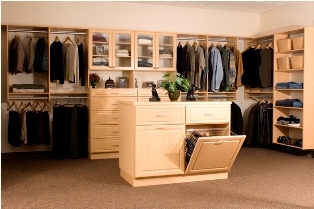 Call the Custom Closet Company and we will solve all of your walk-in closet organizational needs. Learning how best to organize your walk-in closet is only just the beginning with the Custom Closet Company. We then work to expertly build and install the perfect custom solution for your walk-in closet. At the Custom Closet Company, we understand the transforming value of a well-organized walk-in closet. Our team at The Custom Closet Company work closely with you to design and craft your customized walk-in closet solution. 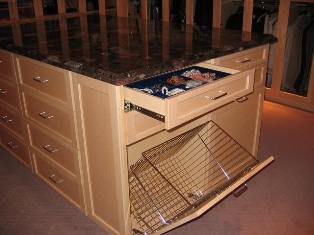 Call us at The Custom Closet Company for an appointment today! (253) 245-3883 We offer free in-home estimates! We look forward to opening up the functionality of your walk-in closet and improving the organization of your home!